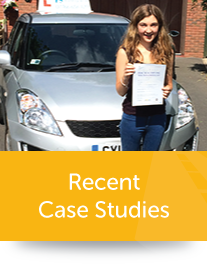 At Brighton’s Steering Clear Driving School we specialise in driving courses where students with little or no driving experience are taught to become qualified drivers safely, as quickly as possible. The intensive courses we provide deliver a maximum of four hours driver training each day and normally enable each student driver is ready to sit their driving test in three to four weeks. However, we would like to emphasize that our paramount concern is driver safety. Because each of our students learns at a different rate a period of training that lasts beyond four weeks may be required. The courses in Brighton are tailored to meet the individual needs of the student and training is based on our client centred approach to learning. Our standard intensive driving course begins with the learner driver familiarising themselves with the vehicle controls, instruments as well as how to move off, and stop the car safely. The next stage is how to manoeuvre in both open and closed junctions before moving onto the correct way to proceed though crossroads and roundabouts. Students learn how to drive safely in congested Brighton town traffic, deal with potential hazards and improve their overall road awareness. Students are taught how to carry out a series of manoeuvres including reversing around a corner, reverse parking, bay parking, turning the car around in the road and performing an emergency stop. Driver tuition also includes driving safely on a dual carriageway and concludes when students are given experience driving at night and in bad weather conditions with their instructor. 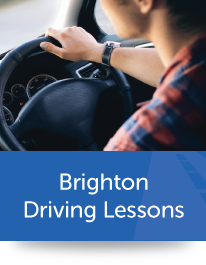 Students who wish to join our 30 hour intensive driving course in Brighton are supplied with the materials they need for their theory test and are supported at every stage in their learning by their driving instructor. The materials provided include a copy of the Highway Code, the DVLA approved “Driving the Essential Skills” and a DVD sponsored by the DVLA. This DVD contains a series of mock tests and versions of the Hazard Perception Test allowing the student to take as many practice tests as they feel they need to be comfortable when taking the real theory test. The 30 hour intensive course is £900 and this price includes materials and the cost of booking one theory and one practical driving test. Steering Clear Brighton also offer 10 and 20 hour intensive driving courses. These are matched to the unique needs of each individual student and can focus on any specific aspects of driver training with which the student is having difficulty. These shorter courses may not necessarily result in the student sitting a driving test, instead, a discussion and agreement between student and instructor will determine what the final outcome of the course should be. Please be aware that the price of these courses does not include the supply of study materials or booking the theory and practical tests.